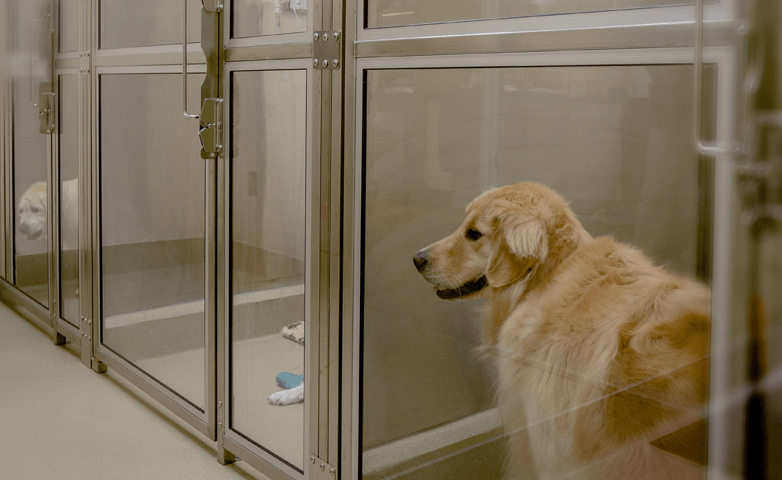 We are pleased to provide boarding for cats, dogs, rabbits and exotic animals, offering the same quality care and attention your pet receives as a patient at our hospital. Spacious kennels and runs for dogs with raised matting and bedding. 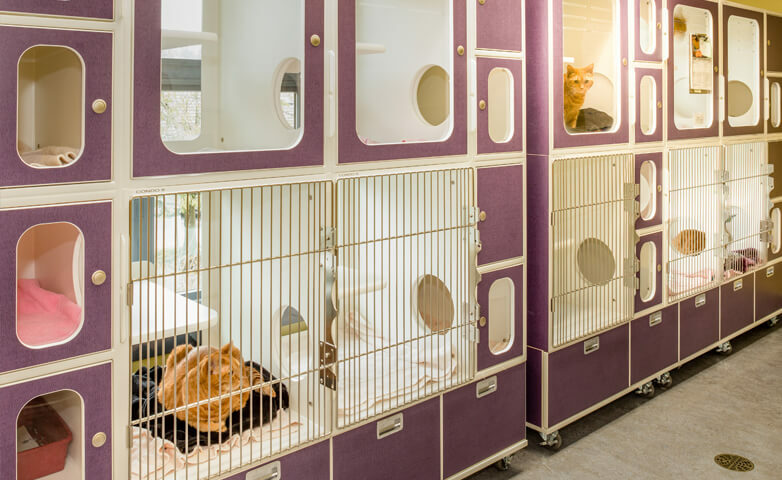 One-two room “condos” for cats with special attention to ultra clean litter boxes. High quality diets- or food can be brought from home. Medications or supplements will be given by trained personnel. Dogs will be walked 4-6 times a day. Kongs and safe distractions are offered to avoid boredom and anxiety. Full-time, trained personnel whose responsibility is to care for your pet while boarding. Check-in is welcome between 9:00am and one hour prior to closing. Upon check in, you will meet our trained Animal Caretakers who will provide your pet with loving care. Please spend the necessary time with them to ensure your pet’s needs will be met during their stay in our boarding facility. To download our boarding form, click this link. Pick up times are between 9:00am and one hour prior to closing and by appointment only on Sundays from 2:00pm to 4:00pm. Upon check out, you will be given a full report of your pet’s stay with us along with any additional information on services you requested. A clear “bill of health” from a previous health exam, performed within the last 12 months. Your pet must be spayed or neutered if over 6 months of age. Cats need proof of being FeLV negative. *All animals need to be free of fleas. If a pet comes in to board and is found to have fleas, we will treat the animal with a veterinary approved flea treatment and if necessary, give the pet a bath. This will be done at the owner’s expense. We offer Pet Massage for our boarding pets. Massage is a gentle and non-invasive therapy that most pets positively respond to. Massage is especially beneficial for boarding pets. 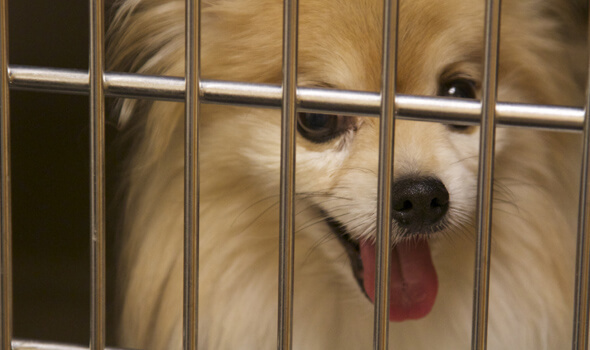 Being away from home can be stressful for your pet. Massage is great for increasing circulation, decreasing boredom or depression, and provides a positive hands-on interaction while they’re away from home. Rubi Sullivan is a certified Animal Massage Therapist and owns Heal – http://www.healnw.com. Please call our office to schedule & inquire about rates. We recognize that each pet will have individual needs to attend to. Puppies and geriatric pets often require additional services to ensure their comfort and health. Puppies will be walked every 2-3 hours for short potty breaks. Harnesses are used on small dogs to minimize strain on undeveloped muscles. Puppies are fed according to home feeding schedule. Puppy Play: Socialization during the early months is very important. We offer play time in private rooms with our staff. Puppy Kongs are offered in kennels during isolated times. Grooming: a clean and healthy coat is essential to your puppies comfort. Introducing your puppy to good grooming habits when young will help them accept care in their adult years. Daily brushing, cleaning eyes, mouth, feet and undercoats will be offered during your puppies stay, along with gentle finger massage of teeth to help them get use to brushing, gentle massage of feet/toes to condition handling for future nail trims and paw care. Geriatric Walks: Dogs will be walked every 4 hours, using supportive slings as necessary, monitoring comfort level at all times. Raised bedding is used to assist incontinent dogs, additional padding and the assistance of ramps and slings are used to assist dogs with walking. K9 Massage is used daily to decrease stiffness and aid in relaxation. Grooming: As our pets age, they are less likely to groom themselves. Daily brushing, cleaning eyes, mouth, feet and undercoats will be offered, as tolerated, during your elder pets stay. Sometimes a cleansing bath is needed to ensure cleanliness and comfort.